Regiment: 2 Corps Provost Co. Served between: 9 April 1942 – 17 July 1946 = 1561 days. Jim – may you forever Rest In Peace. 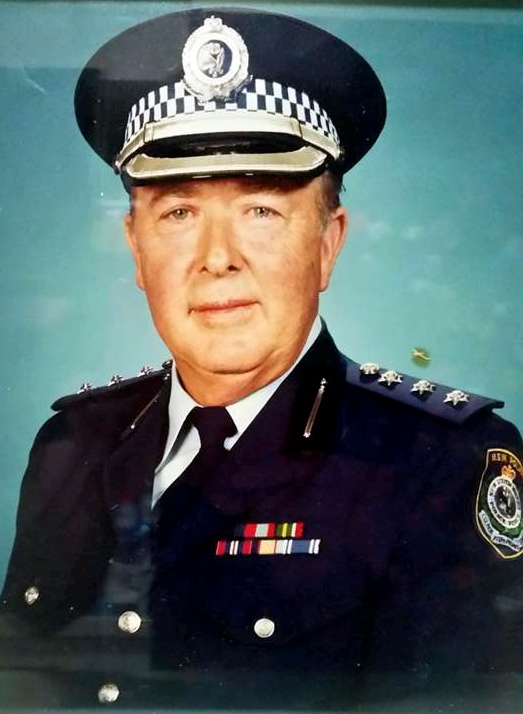 Jim was the Uncle of Michael John ROYAN – also a member of NSWPF. 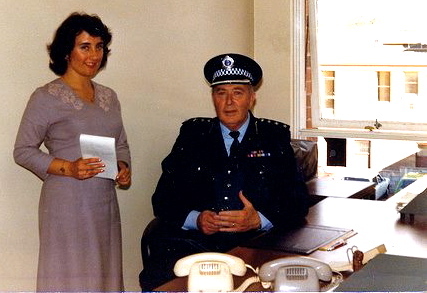 Diane Reid, Inspectors Clerk, with Jim at Fairfield Police Station in 1980. 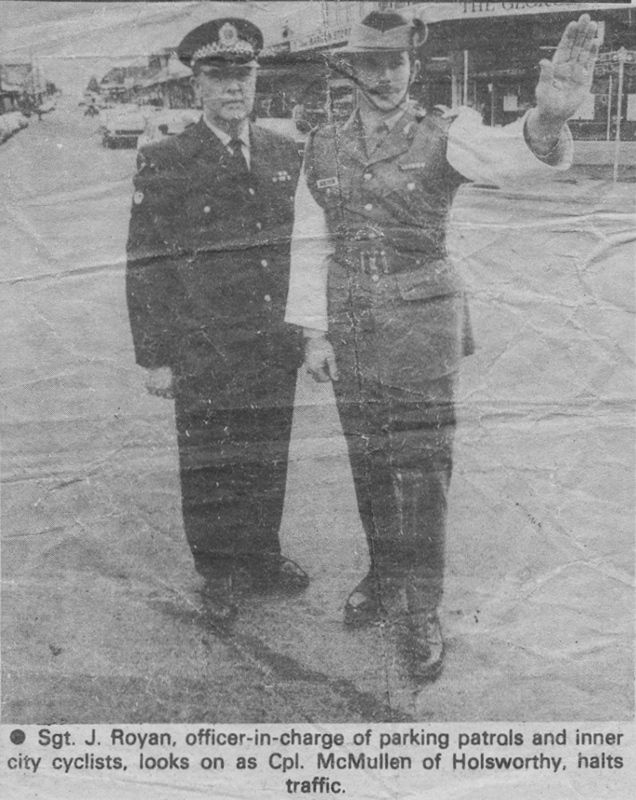 Diane also worked at Merrylands Police Stn. DESPITE THE OFFICIAL NSW 1979 ‘STUD BOOK‘ HAVING JAMES BIRTHDAY AS 23 MAY 1925, THE FAMILY ASSURE ME THAT HE WAS ACTUALLY BORN ON 23 MAY 1923 AND DIED IN APRIL 2013 JUST SHORT OF HIS 90th BIRTHDAY. Loving husband of Neita (deceased). Loving father and father-in-law of Leslie and Michele, Annette and Haig, loving grandfather of Scott, Lisa, Sharon, Brett, Paul (deceased) and Mark. Loving great-grandfather of Cooper, Max, Jackson, Sienna, Cate, David, James, Arisa, Will and Emma. Loved by all his family, relatives and friends.